One of my major influences in the world of social media has come to be that of DKNY’s “PR Girl.” Now, first I feel I must preface by saying I own nothing DKNY, nor do I have that much interest in the brand itself. But here I am talking about it, right? This means she’s doing her job, and she’s doing it well. But what is it about her, about anyone that we admire in social media, that appeals to us? 1. They’re real. In the case of DKNY PR Girl, she tweets about anything and everything. She’s giving fashion advice (for no specific brands!) — actually, she’s just giving advice in general. She’s talking about things throughout her day, tweeting photos of places she is. She’s interacting — engaging — her audience. She’s not putting up any fronts. She’s being herself. 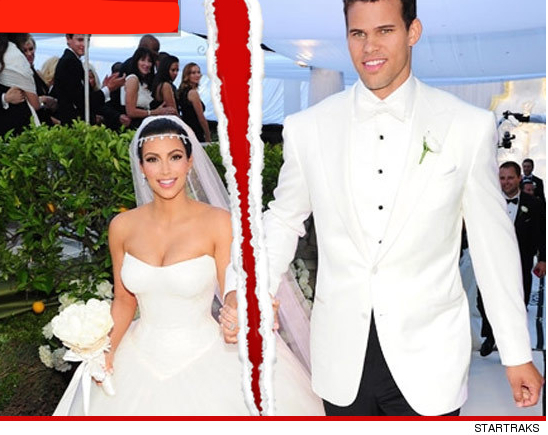 If you haven’t heard of Kim Kardashian’s marriage to husband-of-72-days Kris Humphries by now, it’s no doubt that you’ve been living under a rock. While it’s not “big news” anymore, there is still something about this story that simply has my PR-blood boiling, and yours should be as well. But first, I must preface with the fact that I am a kloset member of the Kardashian Klan. AKA: I love the little money-making family business they have built for themselves. So, like I said, we’ve all heard about the rumors swirling weeks after the wedding ended. We heard about the heart-breaking divorce after less than three months of marriage, we heard about Kim’s flight to Australia after the announcement to work, and then her flight to Minnesota to speak to Kris and his family. We also heard how Kris himself heard about the divorce via… the internet. We heard Kim’s sob story of how it wasn’t working, she wasn’t happy, and she just had to end it. But is this reality-star and business woman savvy enough to think of the PR repercussions she will be reaping from all of this, or is it true what they say — no publicity is bad publicity. It was recently announced that two-time oscar winner Hilary Swank was dropped by the PR firm representing her, 42West, for attending a party that was for the Chechen President, Ramzan Kaydrov. You can see why this would be a problem if Swank was partying it up with this guy. Not to mention that she reportedly received a heft paycheck for attending the event. 42West and Swank apparently parted ways due to disagreeing on how to deal with the situation at hand… Hmm, wouldn’t a PR firm know best? To make this PR-fiasco better, Swank also spoke at the event. She was caught saying, “Really, truly, for me this was a great honor to learn more about you and your country and what you’re building. Happy birthday, Mr. President.” However, Swank did try to redeem herself by vowing to donate the money she made off the event to a charitable organization. Today in my Social Media in Public Relations class, we got into this discussion based on social media relationships — specifically, Facebook vs Twitter. One side was that Facebook is better for relationships. Why? 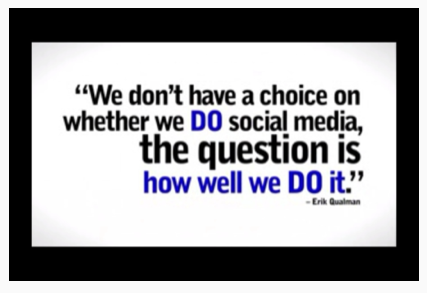 It’s not as public, you can control who sees the things you post, you can interact more, you can simply do more. The other side, Twitter, was that it’s more about sharing thoughts, ideas & content and not making and maintaining relationships. Valid arguments were made both ways, but it made me wonder, why can’t they both used to build and maintain relationships?